European badgers can make journeys of more than 20 kilometers – distances longer than previously thought – researchers have found. The study, published online on March 6, 2014 in the British Ecological Society's Journal of Animal Ecology, could help scientists design more effective interventions to reduce the spread of bovine tuberculosis (bTB) between badger populations, something that is essential if transmission to cattle is to be controlled. Animal movement is a key part of population ecology, helping us to understand how species use their environment and maintain viable populations. In many territorial species, most movements occur within a home range. Occasionally, however, individuals make long-distance movements. Long-distance movements are important: they ensure that populations mix and do not inbreed, but they can also spread infection between populations. They are also rare, so long-distance movements are difficult to study and require large, long-term studies. 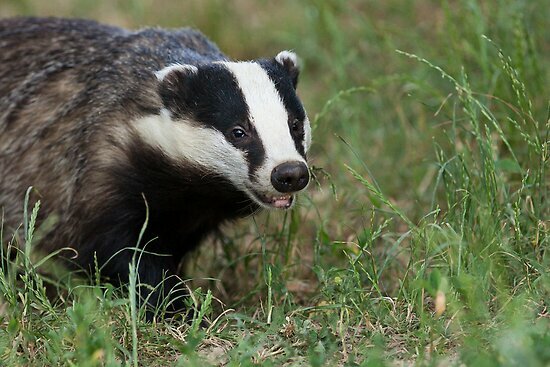 Because of their importance as a reservoir for bTB, badgers are a well-studied species. While we know a great deal about how badgers move in and around their home territories, very little is known about rare long-distance movements and nothing about how often badgers travel these long distances. To answer these questions, scientists from Ireland and Canada studied badger movements for four years across a 755 square kilometer area of County Kilkenny in the Republic of Ireland – the largest spatial-scale badger study of its type ever conducted in Europe. Dr. Andrew Byrne of University College Dublin, who led the research while at University College Cork, said: “To study these longer-distance movements, a correspondingly large study area is required. It's by now well established that obesity is a major risk factor for diabetes. But what exactly is it about extra body fat that leads to insulin resistance and blood glucose elevation, the hallmarks of diabetes? Over the past several years, Beth Israel Deaconess Medical Center (BIDMC) endocrinologist Barbara Kahn, M.D., has developed a large body of research suggesting that a molecule called retinol binding protein 4 (RBP4) (image) plays a key role in the process. 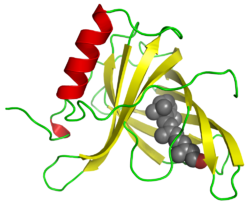 Dr. Kahn's lab was the first to show that elevated levels of RBP4 – previously known only for its role as a transport protein for Vitamin A – led to the development of insulin resistance in animal models. Additional work revealed parallel results in human blood samples: obese, insulin-resistant individuals had high RBP4 levels and lean, insulin-sensitive people had low RBP4 levels. Furthermore, people with genetic changes in RBP4 that resulted in high blood levels of the protein had an elevated risk of developing diabetes. Now, Dr. Kahn and her colleagues explain the mechanism by which RBP4 contributes to increased risk of diabetes. In a study that appears online in the March 4, 2014 issue of the journal Cell Metabolism, the investigators describe how the protein sets in motion a complex interplay between two branches of the body's immune system, leading to chronic fat tissue inflammation and, ultimately, insulin resistance. "Although the inflammatory response is a key part of our immune system and an important means of protection and tissue repair in response to infection or injury, under certain conditions of metabolic dysfunction, this response is activated even in the absence of foreign pathogens," explains Dr.
A team of University of Notre Dame researchers led by Drs. Mayland Chang and Shahriar Mobashery has discovered a new class of antibiotics to fight bacteria such as methicillin-resistant Staphylococcus aureus (MRSA) and other drug-resistant bacteria that threaten public health. The new research is published in the Journal of the American Chemical Society in an article titled "Discovery of a New Class of Non-Beta-Lactam Inhibitors of Penicillin-Binding Proteins with Gram-Positive Antibacterial Activity." The new class, called oxadiazoles, was discovered by in silico (by computer) screening and has shown promise in the treatment of MRSA in mouse models of infection. Researchers who screened 1.2 million compounds found that the oxadiazole inhibits a penicillin-binding protein, PBP2a, and the biosynthesis of the cell wall that enables MRSA to resist other drugs. The oxadiazoles are also effective when taken orally. This is an important feature as there is only one marketed antibiotic for MRSA that can be taken orally. MRSA has become a global public-health problem since the 1960s because of its resistance to antibiotics. In the United States alone, 278,000 people are hospitalized and 19,000 die each year from infections caused by MRSA. Only three drugs currently are effective treatments, and resistance to each of those drugs already exists. The researchers have been seeking a solution to MRSA for years. "Professor Mobashery has been working on the mechanisms of resistance in MRSA for a very long time," Dr. Chang said. "As we understand what the mechanisms are, we can devise strategies to develop compounds against MRSA." "Mayland Chang and Shahriar Mobashery's discovery of a class of compounds that combat drug resistant bacteria such as MRSA could save thousands of lives around the world.